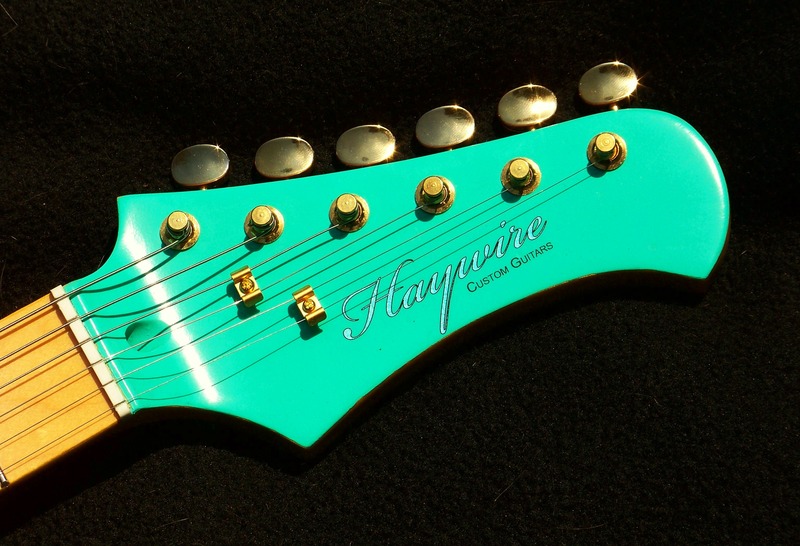 Roasted Maple Necks - Haywire Custom Guitars-Highly Recommended! Be Careful When Adding Roasted Maple Guitar Necks. While there are advantages such as being less expensive when no finish is required and the fact that the roasting process brings out a beautiful caramel color in the wood. There are drawbacks when adding a roasted maple necks. “Roasted Maple” Necks May Have Issues….. Remember the nature of a roasted maple neck is to be very brittle. Therefore, look closer at the roasted maple guitar neck than you normally do other necks, specifically the screw holes. It’s very interesting but can be a difficult problem if you are not aware of the characteristics of the roasted wood. Screw threads on the neck plate screws can strip out in the neck holes. It’s caused by the roasted wood being so brittle that the insides of the holes are much more prone to strip out versus an standard kiln dried Maple neck. If you have ever worked with 100 year old wood then you know what you’re dealing with. Roasting ages and weakens wood significantly. The stripping of the brittle wood screw threads inside the holes of a roasted maple guitar neck cause the screws to loosen their grip. Strings will pull with lots of pressure when in tune and can cause the screws to slip and the neck to pull away from the body-thus lifting the strings off of the fret board. This will cause higher action and make it much more difficult to play. Soon you will be “Fighting with your guitar”, Eventually, the action will to be way too high to play. When I set it the action on this guitar the last time before shipping, it was very low however the vibration and bumping of travel plus the tension of string pulling can cause the very slow release of the screw threads, screw slippage and thus higher action.This is all very imperceptible at first but will accelerate over time and causes lots of playing problems.